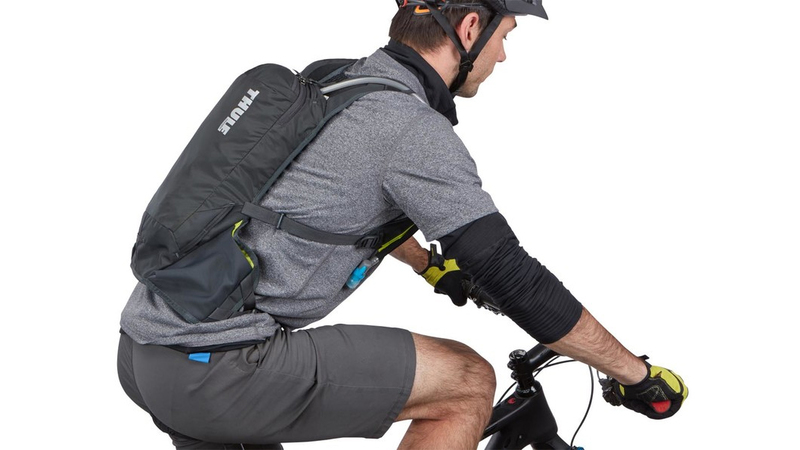 Thule is well known in the cycling world for being one of the best bicycle rack makers. 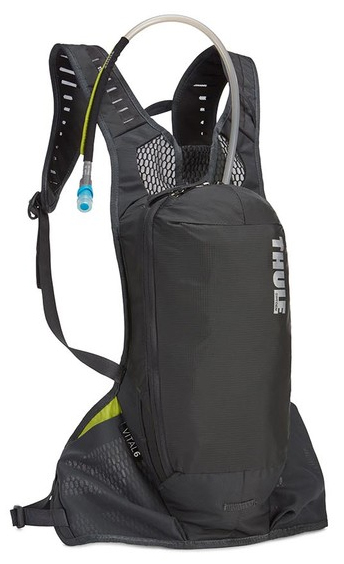 Thule is now stepping into the hydration backpack arena with their Vital Hydration Pack. 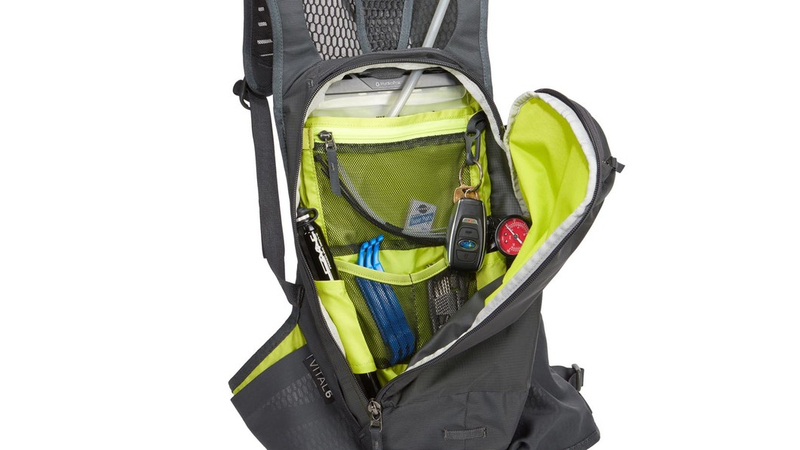 This pack is packed with features like a hands-free ReTrakt magnetic hose return system, jersey-style pockets for quick access to nutrition or tools without having to remove the pack, a tail light attachment for increased visibility, a sternum strap for extra stability and comfort, and designated loops to carry a tire pump and shock pump. With 6 liters of cargo capacity and a 2.5 liter reservoir, this will be a go-to pack for any rider. 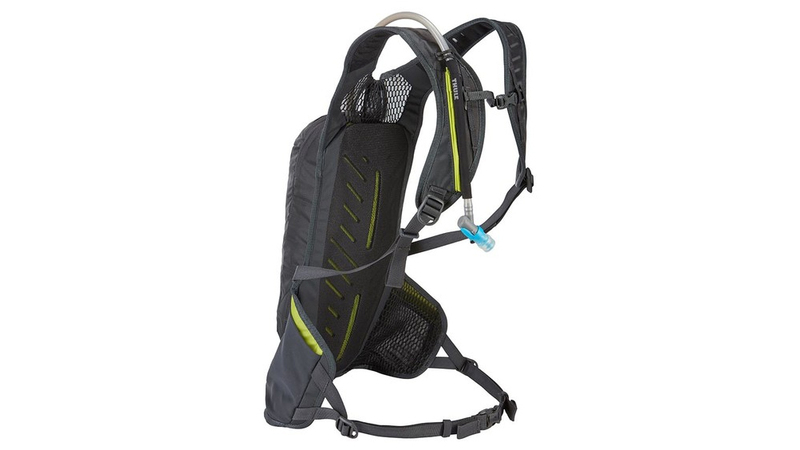 Staying hydrated while riding is vital, so make sure you ride with a Vital Hydration Pack. 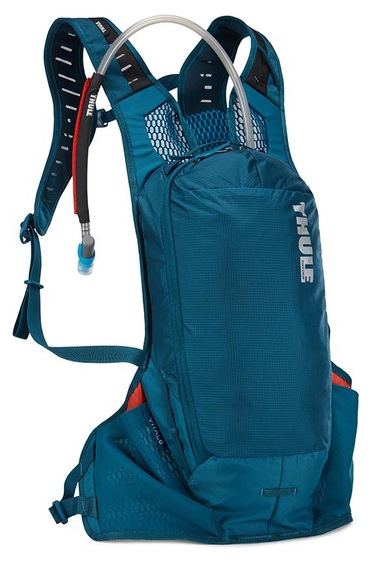 I've always been a fan of Camelbak hydration packs...or I was until I purchased the Thule Vital. As the headline states, this is the best hydration pack I've used in 15+ years. 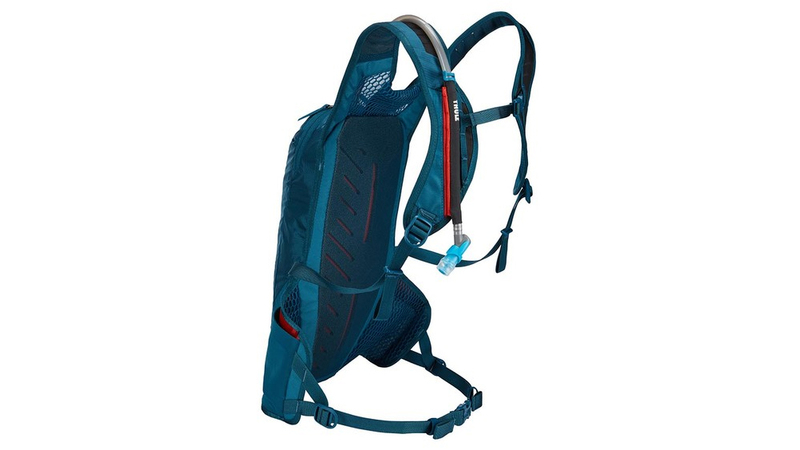 The design of the pack and the setup of the bladder keep the entire pack secure to the center of your back. In fact - and I am no doctor - but I actually found that the Vital helped correct some of my posture when I was climbing. The Vital felt like it kept my shoulders back some, which opened up my shoulders more open and ultimately my lungs. And flying downhill was just as secure. The pack never left the center of my back while flying downhill and carving in-between trees. The pockets on the hips are even better than expected. I placed food in one pocket and sunglasses in the other. There was never an instance where I thought I was going to lose either. Then there is the inside of the bag. With the exception of a soft-lined pocket for sunglasses or valuables, everything is in one pocket, which keeps everything very organized with well-placed pockets and loops. In terms of unknown attributes, I am keen to test its waterproofing. The pack easily survived the muddy and damp trails today, but whether or not it will keep the inside dry during a rainy ride is TBD. I would highly recommend this pack to anyone.